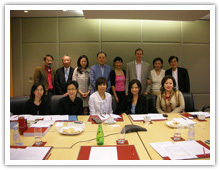 In September 2004, the University of Hong Kong Spinal Cord Injury Fund (HKU-SCI Fund) was born, and the China Spinal Cord Injury Network (ChinaSCINet) was also established in partnership with the HKU-SCI Fund. Out of this collaboration, in June 2006, two non-profit companies, the Hong Kong Spinal Cord Injury Fund (HKSCIFund) Limited (formerly the ‘HKU-SCI Fund’) and the China Spinal Cord Injury Network (ChinaSCINet) Company Limited, were established. The HKSCIFund Ltd. is a registered charitable organization in Hong Kong (Registered Charity Number: 918370). The HKSCIFund is dedicated to raising funds to support the SCI clinical trials conducted in China, the SCI clinical trials conducted by the ChinaSCINet and the promising SCI researches around the world. In addition, HKSCIFund organizes and supports activities to promote and raise public awareness of SCI. The China Spinal Cord Injury Network is the largest spinal cord injury clinical trial network in the world, comprising more than 20 leading spinal cord injury centers in Mainland China, Hong Kong and Taiwan. It aims at developing and testing the most promising therapies for spinal cord injury and accelerate translating the therapies from laboratory to clinic.